Preventive healthcare research at CPCE works to promote community health, both locally and globally. We are committed to making an impact on community health by addressing factors that may impact disease risk and access to health services. Preventive healthcare research at CPCE focuses on developing interventions to help families with young children prepare healthy meals, creating evidence-based programs to ensure children in immigrant families have access to preventive healthcare, improving the care and treatment of children and adolescents infected with HIV in resource-limited settings, evaluating vaccine policies, and studying the factors affecting the epidemiology of infectious diseases. We are also investigating what drives health-related behaviors to help develop new community health recommendations to ensure effective policy implementation. Through collaboration with the Philadelphia Department of Health, the Centers for Disease Control and Prevention (CDC), Policy Lab at CHOP, and other organizations, our preventive healthcare research is being used to improve medical care to pediatric populations here in the US and in sub-Saharan Africa and the Dominican Republic. We are addressing the gaps in treatment and care for certain underserved communities to prevent the spread of infectious diseases and to promote overall health. Home Food Preparation -- Home food preparation research at CPCE aims to improve pediatric health by addressing topics of importance to the well-being of children in resource-limited settings. Immigrant Health -- Immigrant health research at CPCE focuses on improving the provision of patient-centered and accessible care for children in immigrant and refugee families. 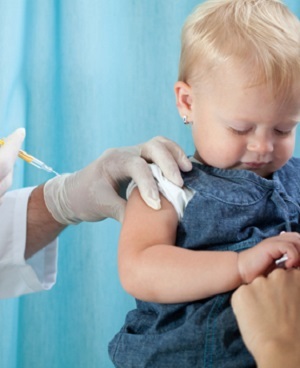 Pediatric Vaccines -- Pediatric vaccine research at CPCE aims to improve pediatric health by evaluating vaccine policies and studying factors affecting the epidemiology of infectious diseases. Pediatric Global Health -- Pediatric global health research at CPCE aims to improve pediatric health by addressing topics of importance to the well-being of children in resource-limited settings. Reproductive Health - Reproductive health research at CPCE seeks to identify optimal ways of delivering sexual and reproductive health care services to adolescents and their families.